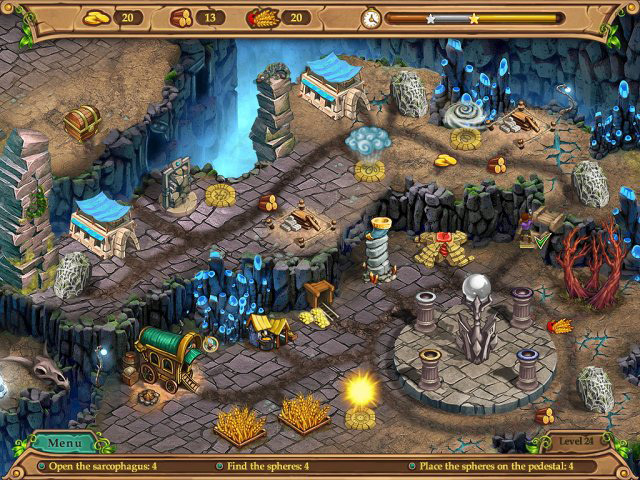 Rebuild a devastated land, save your people from peril and face the enemies! Weather Lord: The Successor's Path was available as a giveaway on July 8, 2017! How would you improve Weather Lord: The Successor's Path? Please take a few moments to give some positive or negative feedback about today's game; for example, what you liked or disliked about the game, or how it could be improved from your point of view. If you don't like the genre at all, please explain why and if any, what improvements would change your mind? There are thousands of subscribers to the game giveaway of the day every weekend which makes this an ideal forum for giving developers new or fresh ideas as to what their consumers (i.e you) would like to see in a game. For example, you could suggest extra content such as better or more original mini games, or a level editor that you would like to see that would make it more appealing to you. Maybe you think the graphics are a little dated and are in need of re skinning, or maybe you've just had enough of the genre and want to see something different or something with more originality? Giving such feedback instead of saying nothing or just saying this game is rubbish or good may bring more developers to the site, which could mean more and better games. Would you give away thousands of copies of a game (or extra content for a game) away to a community that complains all the time instead of giving useful feedback? It only takes a few moments of your time. This site could be transformed if only the community would be more forthcoming in their opinions of the games they are getting for free instead of complaining about the way this site has changed, they don't like MPC games, they hate HOG, have had enough of Match Three and Time Management games, they want to see the latest version of Call of Duty or some other big name AAA game given away or that they don't like Steam games. If something isn't for you then please move on to the next giveaway, or check out the forums HERE, HERE and HERE, where a few members of the community post details of various free games and free game sites as well as links to various indie bundle sites etc; you never know, you may find something that really interests you. If you miss today's game giveaway you can always get the game via MyPlayCity 24/7 HERE. If you prefer the game on Steam you can buy it HERE. It costs £3.99/$4.99 or if you prefer to purchase the game you can get it via Big Fish games HERE. It usually costs £7.70; but, if you are a new subscriber to Big Fish Games you can get it at a discounted price of £2.99/$2.99. ⦁	Master nature and control weather! 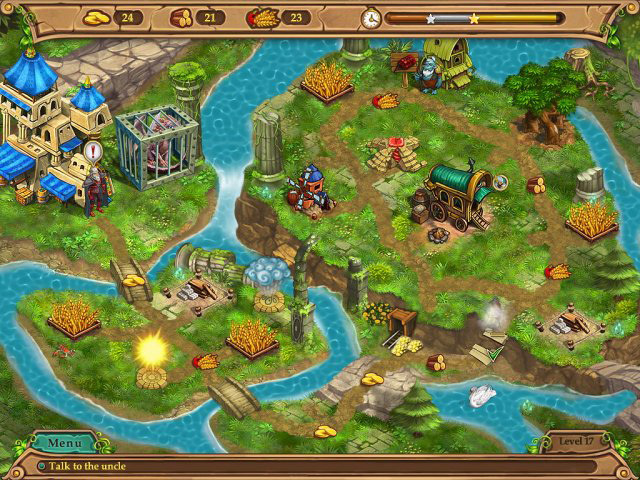 Help Victor become the ruler of the developing country in the game Weather Lord: The Successor's Path! To achieve awards you'll need to make quick decisions and act fast? Accept the challenge and help the noble Victor overcome all the obstacles and cope with numerous difficulties in this time management game Weather Lord: The Successor's Path! It's a game where only you can save the realm from plagues and other misfortunes, so get ready to face lots of challenges! Welcome to the magnificent realm where all people and animals have lived peacefully for centuries but everything changed in a matter of a few hours and they now count on you to be their savior. You have certain advantages becasue of the powers you are endowed with. All the elemental powers are controllable by you, so use them wisely so as not to do any harm to the populace! As you and the brave warriors make your way across the lost land, you'll restore the realms villages, free people and fight ogres, golems and Yeti. Use the sun, rain and wind to reshape the land. When you possess the natural elements and a sword, no one will be able to stop you! You have a lot to do: along the way, you'll rebuild a devastated land, save your people from peril, and face off against an array of bizarre enemies. Your greatest challenge will be learning to control the weather and employing it to your advantage. Use rain to replenish crops, thunder to remove obstacles, and wind to destroy ghastly creatures! You'll see a large field before you and some tasks to complete. Successfully completing these challenges will unlock new locations where you can continue your way of glory! People suffer from different disasters: drought, flood, tornadoes. Learn to use the power of nature and help people. Dry up the swamps and extinguish the fires. Purchase the weather you need and take care of your farms! The tasks are different: drive away toads, fix magic altars, build forges, disperse fog – help people suppress the elemental powers! In the Weather Lord – The Successor’s Path you can choose from three gameplay settings. By successfully completing the levels you will be able to unlock achievements and awards. Once you start you will see an opening cut-scene. This can be skipped over. A map of the kingdom is then shown and from here you can access the levels. You can only advance to the next level once you have successfully completed the one prior to it. Only those available to you can be chosen from the map screen. To start a level, simply click on the one you want. Once the level has loaded, you will see your objectives on the bottom of the screen in the task bar. In addition, messages will tell you what you are supposed to do. The bar on the top shows you how many resources you have. The goal is to complete all the objectives as quickly as possible. On the right side of the top bar you will see a timer with three stars under it. Keep the timer filled up as much as possible and if you hear a loud clock ticking sound, that means that your time is running out. You can see some videos of game play HERE, HERE, HERE, HERE, HERE and HERE. You'll find written walk-throughs HERE and HERE. Not played the game long enough to give an unbiased opinion. If you've played the first in the series, seems much the same. I'd like to take this opportunity to thank MyPlayCity for giving away Weather Lord: The Successor's Path and also to the game giveaway team, as always, for securing other ways to get free games. The rest of the information that used to be posted here can be found in the forums HERE. Finally, check out Delenns thread over in the forums HERE. 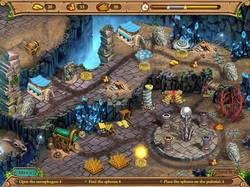 There are games available for free, some of which are limited to the number of free keys available. of the same game with a different theme!! And how many times the weather theme or wizard theme. Yes, there are several games in this series. The main difference apart from the theme is the graphics. Comparing the first weather lord with the latest, you can see a massive difference in graphic quality, not that graphics alone make a game. Reminds me a little of the Farm Frenzy franchise, where the developer released around 10 versions becasue of its success. I got fed up of that series after about the fourth. I like so much that kind of game and I like the weather games. It is a great game. Thank you ! I've installed many, many GOTD programs and never had a bit of trouble. I've even bought a few after trying them. But, this is the first game giveaway I've tried and, it will not install! After I run setup, it tells me the game is activated, but never installs it or gives me an install dialog box. I've tried to run it (setup) as administrator, I disabled my virus protection, and I've rebooted my Win 10, 64 bit computer. Sorry I missed this until the giveaway was over. It's most likely your security that is blocking the installation die to the Themida wrapper, which can also hide malware, so some security suites block any installation when Themida is detected. Oddly not every time. The MyPlayCity version is basically the same as the giveaway apart from the ad files have been removed. If you download the MPC version, making sure you uncheck the three check0boxes you'll basically get the same game. The inchdata folder has been removed from the installed games folder with the giveaway version, otherwise it is exactly the same. I've included a link to the MPC version in my review. It's not very clear from your response, but from what I can gather, you're saying I'd have ads with the MPC version? Because, if that is so, that is not acceptable in the least. Google my name ("Trasd") and look at my reviews. I'd rather stick needles in my eyes than watch any type of ad. I haven't even watched a TV commercial in almost 10 years. MPC games are already stuffed with ads and self-promotion. From what I remember, when you exit some of their games, you are automatically taken to their WEB site for advertising. The ads present in MPC games are there so that they can pay the developers of the games they give away money for allowing us to download those games for free. all the games you find on MPC are commercial games that are still being sold at sites such a s Alawar, Amazon, Big Fish games and Gamehouse. If the stopped the ads they wouldn't be able to play the developers and no games would be free. The giveaway version has the ads removed but there are traces of the files still present in the folder, but they are deactivated. If you have anti adware software, they may still detect those remnants. Win10 64bit Home. Game downloaded and played really well. No problems whatsoever. Just one, I wish they would make the job bar just that little bit wider. These old eyes are finding it hard to see. But still able to play. Thank you for these, may just reload the other games again. I am retiring for the night, I will continue to moderate in the morning. We've got a brilliant HOG tomorrow. :) One of the better ones. Good night. I really enjoy these puzzle task games and this one has proved fun so far. Downloaded, Installed and Activated with no problems on my Win 10x64 machine using Edge as the browser. This is my favorite genre as far as these type of games goes, so I may be a little biased in my review lol. Played one of the others in this series and loved it so my hopes were high for this one .......... I was not disappointed. I've only played a few levels so far but its pretty much a clone of the other one I played which is not a bad thing. A standard time management game with a small "twist" in that you have to "encourage" the replenishment of resources by placing clouds (for rain), Sun etc. and other weather related things to get what you need to fulfill the levels requirements. As I mentioned earlier, this is a virtual clone of the only other in the series I've played so if you've played any of these before you'll know what to expect. Fun and easy (but not TOO easy lol), this is what games were meant to be, a pleasant diversion for an hour or so. I don't really have any comments or suggestion for the developers, other than maybe........... make some of the characters a little less "cute" . Oh ! , I almost forgot. Its from Alawar so you KNOW you can count on nice graphics and a complete story/game. My hats are off to them and to GGOTD for this! Downloaded (took 30 minutes on cable wifi) and installed without problem on Window 7/64. It's a solid game with good graphics and a fun storyline that helps keep it moving. It rather quickly becomes challenging (at least to me -- I'm no expert gamer) and I expect it to keep me busy for a while. The background music is OK but distracting to me so I turned it off (like I usually do with games). It's very similar to its predecessor so far -- I liked that one and I'm happy to see this one come up on GGOTD. A good, fun time-management game. I like that if you go past the time allotted on the time bar it just keeps going. If you're having trouble with a level you can just keep playing until you figure it out, then replay for the gold. This is a keeper for me. Thanks to MPC, GGPTD and Whiterabbit, whose reviews I always find useful. Thanks for your feedback DanO, appreciated. This weeks review wasn't really a review as I've not had enough time to play the game apart from the first couple of levels. Been busy getting ready for our vacation plus still looking for the Steam codes for the games i owe several community members. I am hoping to sort it before I go away. Most of the information I've posted today was found on the net instead of my own personal opinion. Whiterabbit -- I see that you didn't give the game a complete play and review. but my comment stands: I *do* always find your reviews helpful, and I appreciate how much your (volunteer!) efforts add to this site. Thanks DonO, it's comments like yours that keeps me here. Sometimes i get a little burnt out and don't feel like posting anything. The last few years have been particularly hard due to various things going on in the family, where I've taken a much greater part than previously, plus I'm trying to expand my hobby base and become more active. since my accident I'd become a bit of a hermit despite having been a very gregarious person; I've been trying to change that as life is too short.. Still, i enjoy coming here and always try to post something original, but it's just not possible all the time. If I got more notice on what was going to be given away, I'd probably get more time to play each game and would then be able to give more original reviews. That said, I usually do agree with what other reviewers say. If I don't I'd make a comment. This all started for me when I felt obliged to post something after getting lots of decent arcade games from here when the project first started. I joined earlu November 2006 before the game site was open. They used to give 2 3 games away each week interdispersed between the applications. I 'd previously been rather narrow in my choicce of arcade games, only buying breakouts and shmups plus a few platformers like Gish and Wik and the Fable of souls, (both of which were unusual, well drawn and had fantastic game play, plus different mechanics to the usual platformers. The giveaway site opened up the world of arcade games for me. previous to joining I wouldn't purchase anything else, partly becasue I didn't want to waste money on games I didn't think I'd like. Demos were not something i liked to download, so just didn't buy anything apart from the above genres. Back then an arcade game used to cost $19.99 each before the 2008 financial crisis, a lot of money for a simple arcade game and almost half the price of a decent AAA game. So, when I discovered the games being given away I checked every morning while having my breakfast. It became the highlight of my day as I was still suffering badly from the road traffic accident and could hardly move around. After getting several games I felt it was polite to post short reviews of the games I was playing. As time passed they became more in dept and when the daily games stopped and we only got them at weekends, i started a free games project over in the forums, posting a free game every day to make up for the loss of the daily giveaway. I together with several other community members ended up posting links to thousands of free games. Most of which can still be found in the game discussion forums, though many of the links may no longer be live, you can still find those games if you Google them. Sadly a lot of the decent abandonware games are no longer abandonware because sites like Good Old Games hit upon the idea of searching out the original license holders and gained permission to sell the games. Old games have become big business. Many of the decent older games pre 2000 have been removed from the abondonware sites becasue they are now sold via GOG and other sites. Still, there are still thousands of abondonware games still available, plus many decent arcade games that the developers have officially converted to freeware. Several of my old favorite breakouts for example Pow Ball, Beat Ball, Break Ball and Chak Temple were all converted to official freeware games, plus many such as Hyperballoid 1 ^ 2, akk 4 Magic Ball series (now called Smash Ball Frenzy due to licensing conflicts), 0Ray Ball and many more are now available via the free game sites like MyPlayCity. Scuze the waffle, my morphine has just kicked in; i tend to waffle a lot when that happens, lol. I can't even count the number of times I've played this. WARNING: If you like this, you will want the others in this series! Already got most of them on Steam. Those I haven't purchase via Steam (Weather Lord, Weather lord: Hidden Realm and Weather Lord: In Search of the Shaman) I already had thanks to this site. All the non collectors editions are only only £3.99 each, the CE versions are £5.99 to £6.99. I will probably buy them via Steam the next time they are on sale as I like my games in Steam. Unfortunately I missed checking to see if they were in the summer sale as I was trying (unsuccessfully) to avoid the Steam sale this year as previous sales, buying around £300 worth of games (most 75% or more off) though I've often spent over a thousand pounds or thereabouts on games while they've been on sale, both the summer and Xmas sales for the past several years since i joined Steam in 2009. Crazy I know; unfortunately I'm obsessed. You just click on the close button to close the window and no Software informer is installed. If you did have it installed you must have clicked on the install software Informer button. Your comment was hard to read due to spelling and using caps. Didn't get whether you actually got the game installed, though I presume you didn't? It took me about 30 seconds to download the game last night (I'm able to download before it goes live, but can't install it until it's live. It took another 30 seconds to install the giveaway version, which then booted up quickly. According to the admin logs over a thousand community members have successfully installed this game. If you are having issues installing these games, it's likely you have something installed on your computer )probably your security) that is conflicting with the giveaway wrapper. The wrapper contains Themida code, which is often blocked by some security software becasue it can also be used to wrap malware, so, as a precaution, it will block the giveaway file, even though it's totally safe. Thousands of community members have no problems installing these games, so it's not the download that is an issue. Hope the above helps? Please do let us know if you managed to get it working. Could someone please tell me the names of the other games in the series? I will download and play this game as I like this type of game. Thank you for the game today. I've added the dates to those games we were given here previously as well as linked all to either where you can get them for free, or to big Fish games. five of the seven available can be downloaded free, but do be careful to uncheck the checkboxes at the beginning of the installation process. The two that are not free are available from most game distributors including Big fish and Steam (all seven can be bought via Steam). The list is in no particular order. 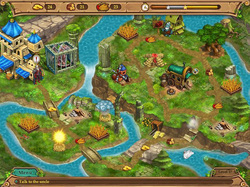 ⦁	Weather Lord: Legendary Hero (Big Fish Games) - not available free anywhere yet. 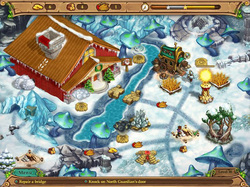 ⦁	Weather Lord: Royal Holidays (Big Fish Games) - not available free anywhere yet. Thanks, didn't know they had released another one. Hey Wabbit, I left you a message on Steam that is time sensitive about Chrono. System Requirement: Windows XP/Vista/7/8/10; Processor 800 Mhz or better; 128 Mb RAM; DirectX 8.0. Thanks Delenn, caught it just in time. I've been offline on Steam since yesterday. Been trying out my new favorite game X-Plane 11. which is the best flight sim I've ever played so far. I check Chrono nearly every day, so far have managed to get lots of 3 day streaks, but every time I'm just about to get the 7 day streak I forget to log on. Been really busy today packing for our vacation. We are going to a small island off the coast of Croatia in a few days, so probably won't be posting any reviews until the end of the month (apart from tomorrows) unless they add more games to the admin listings before I leave. At the moment we only have one more game listed which is for tomorrow. I can now post the reviews before the games go live, so I'd try and complete a few before I go on Wednesday. I do have internet access, and because of my disabilities, don't go out with my wife and kids every day, instead I take loads of movies to watch. Not the best way to spend an expensive vacation, but at least I'm with the family; the first few years after my accident I used to stay home while Michelle and the kids went away, but none of us liked that arrangement, so I decided that even though I'd not get my moneys worth I'd go with them. I've spent the last few hours checking over our dinghy, which sprang a leak last year while on the Black Sea. Found one leak, but suspect there is another, which so far has eluded me. We want to go Island hopping as there are several uninhabited islands near to the island we are staying on. There's no real beaches, but I've never been a beach bum preferring to go exploring; sadly that's pretty limited these days due to mobility issues. I purchased the Chicken invaders games when they were first released, If you like space invaders they are excellent fun. Thanks for your updates; they are very much appreciated. Not had the time to look for offers in ages. I nearly managed to avoid the Steam sales this year. Was determined not to go mental, but gave in on the penultimate day and purchased around 120 games including X-Plane 11, which I've been hankering after since it was released back in March. That said I did avoid several games I've been looking to buy such as Playerunknown's Battlegrounds, (which didn't have any reductions) as well as Planet Coaster, Cold Water, some FINAL FANTASY XIV dlc's, several Microsoft Flight sim dlc's and train sim DlC's plus Divinity: Original Sin 2, Tekken 7, The Golf Club 2™, Farming Simulator 17, Tom Clancy's Ghost Recon® Wildlands, Call of Duty®: WWII, Sid Meier’s Civilization® VI, Endless Space® 2, Steel Division: Normandy 44, Total War: WARHAMMER II, Warhammer 40,000: Dawn of War III, and Watchdogs 2 to name a few, and unfortunately most of those are $50 games, so I'm waiting until they are at least 505 off or more. I won't pay full price any more. Spent far too much on $50 games that I've still hardly played despite having them for years already. for example, still got to play at least the last three Call of duty games and the last two Total war games. Even my all time favorite franchise The Elder Scrolls I've only played Skyrim for several hours despite pre-ordering it (it was released Nov 2011) and one of my other favorite franchises Fallout, only played Fallout 4 for about an hour, which was released Nov 2015 though my son has dipped into it for several. Played it when it was offered here some time ago. Well illustrated, no 'glitches' with an interesting storyline. I'd recommend it any time. We were given Weather Lord November 16, 2014, Weather Lord: Hidden Realm January 18, 2015 and Weather Lord: In Pursuit of the Shaman December 6, 2015 but have never been given Weather Lord: The Successor's Path before. There are others in the franchise called Weather Lord: Following the Princess, Weather Lord: Legendary Hero and Weather Lord: Royal Holidays which we've not had yet. I've enjoyed the other two giveaways of this series and look forward to playing this one. Darn it, I must have missed the other one. Here's hoping it'll be on here again some time.